Newest sense blazer 200w TC vape kit includes blazer 200w TCmod and blazer sub ohm tank. 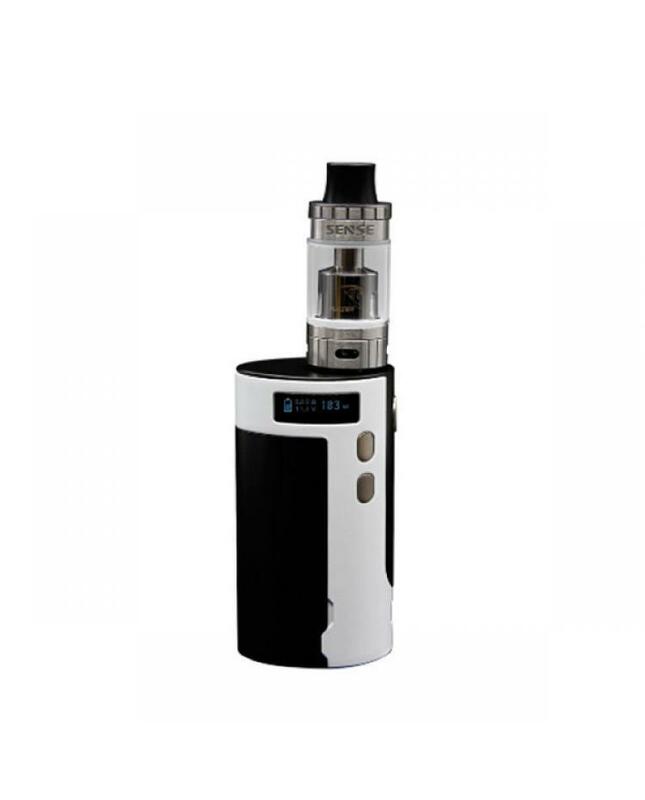 this moment only white&black color avaliable, max output 200watts, powered by 3pcs 18650 batteries,the blazer 200w TC mod built-in most powerful chipset by sense company, support resistance as low as 0.1ohm, support stainless steel, titanium and NI200 vape wires under temperature control mode, implementing round design to fit your hand feeling more comfortable. the bright and clear side-mounted OLED display will show you the vaping information, the side adjustment buttons will let vapers easily to operate. the blazer 200 sub ohm tank can hold 6ml e juice, top refill design, bottom with airflow adjustable slots, vapers can easily to adjust it to your preference.